Fast, easy location reports? Take OmniReporter on-the-go. No more complicated, time-wasting transfer tasks. 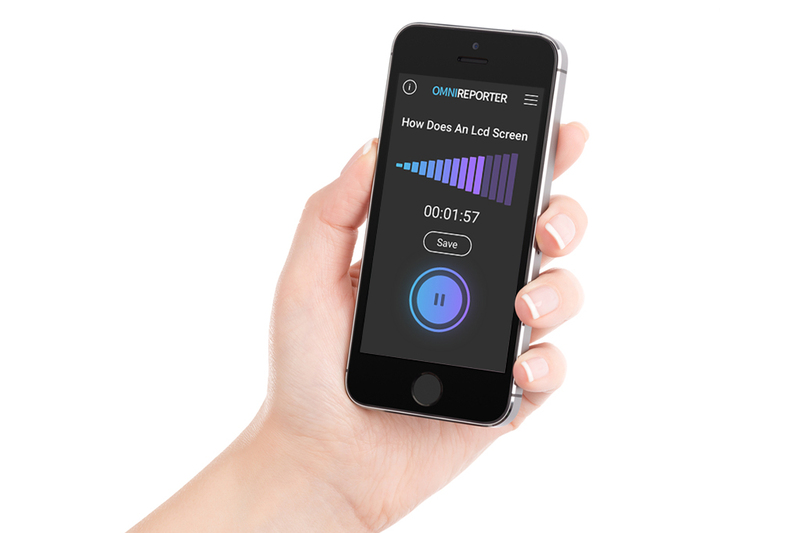 OmniReporter lets you record reports and interviews on your smartphone and send them directly to the OmniPlayer library. Sending is done in just one tap. And reports automatically appear in Omniplayers Database explorer, without studio staff having to do a thing. It’s as easy as that. Reporters are immediately free to pursue the next part of the story, while those in the studio can instantly get to work on reviewing, editing and broadcasting. With less time wasted on uploading, downloading and importing, everybody has more time to focus on gathering and producing compelling content. Available as an app for iOS or Android. Your speediest route from on-location recording to broadcast. When you’re hot on the trail of a breaking story or in-demand interview, the faster you can get your on-location reports to air, the better you can impress your audience. This means minimising the amount of time and effort spent on getting recordings from mic to broadcast.